A Virtual Terminal is an integral part of any ACH Integration. 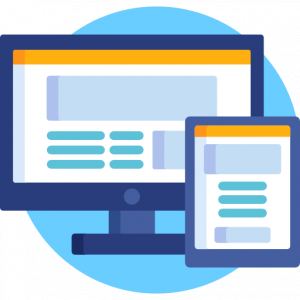 Virtual Terminals are web-based hubs that facilitate the secure acceptance of single and recurring payments via ACH [echeck] or credit/debit cards, provides decline handling, and be connected to multiple back end credit card processors. ACH Virtual Terminal Solutions allow recurring payments to be enabled with the ability to use backup payment method, and anti-fraud tools that allow for address verification, velocity controls, advanced checking account verification tools, and Identity verification. Comprehensive and useful reporting is another valuable benefit of a virtual terminal, allowing applications the ability to export reporting into multiple formats, and create templates for your specific needs. Payment scheduling enables businesses to accept one-time payments for the present/ future date, and use multiple scheduling options for recurring payments, while the intuitive Interface makes payment processing and reporting simple. 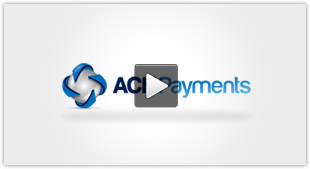 With ACH Website Payment Tools businesses can quickly create a secure hosted payment page with custom fields and the ability to take one-time or recurring payments. Businesses can use email receipts to offer customized messaging for your customers. These automated messages are an excellent opportunity for cross-selling/upselling customers. Transactions can be instant or scheduled, and scheduled transactions can be single future or recurring transactions. Businesses can utilize ACH Virtual Terminal Solutions for transactions by organizations who have preexisting credit card merchant accounts. Payment data entry can be accomplished in a numerous ways (e.g. file upload, manual data entry, or machine read), and most major back-end processors offer gateway communication. Additional hardware is available for machine read data entry for both ACH and credit card transactions. You may also leverage integration via ACH Virtual Terminal Solutions. This allows for a hybrid solution of using the Virtual Terminal along with the integrated solution.